​Do You Have A Household Project That Needs Some Professional Attention? 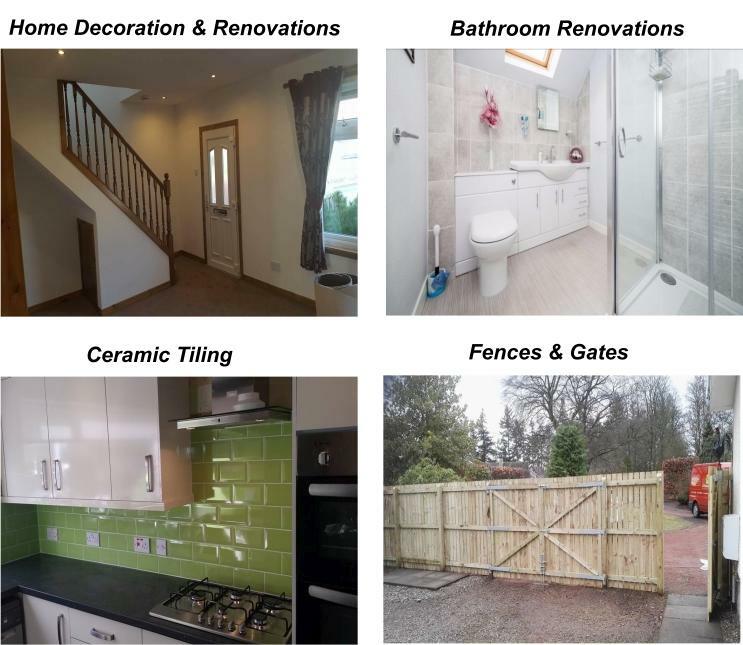 We Are A Reliable Small Home Improvements Business Based In The Coupar Angus/Blairgowrie/Alyth Area. We can do Repair Work around the Home, Internal & External. We also do Engraved Wooden House Signs. TO SEE THE KIND OF WORK WE DO PLEASE BROWSE THROUGH THE GALLERIES IN THE MENU ABOVE. THERE ARE PICTURES OF BEFORE AND AFTER RENOVATION PROJECTS THAT HAVE RECENTLY BEEN COMPLETED. If you require a reliable handyman feel free to contact me for a NO OBLIGATION QUOTE.